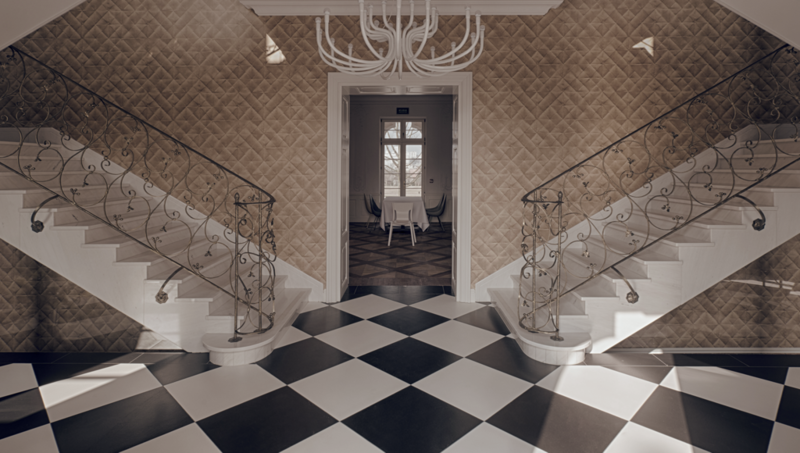 The entrance hall is decorated by a black-and-white floor as a reference to the game of chess played by the main characters of the novel, and the interior design of the Palace creates a fairy-tale illusion. 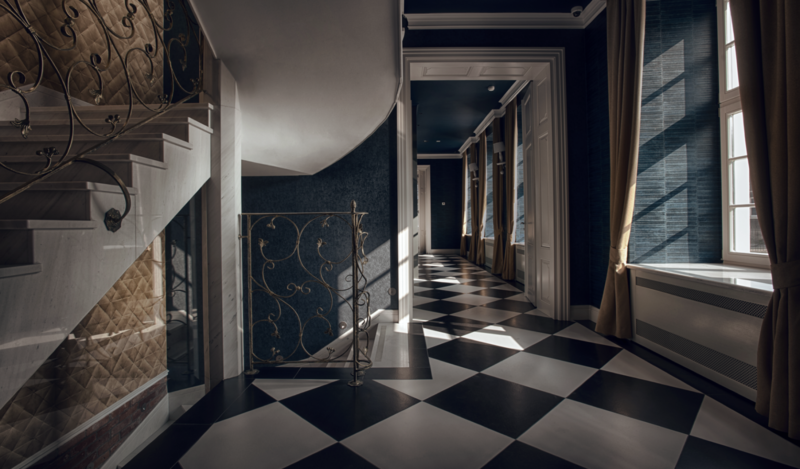 In addition, one of the suites was inspired by a film adaptation of the novel created by Tim Burton. Vigilant guests will notice many other fairy-tale accents in the object, however this does not mean that this place is dedicated to children. The object was created mainly for adults with high self-awareness, interested in discovering the world and with good knowledge of culture and art. “Areti” coming from London. Each of the twelve exclusive palace suites delight with a different design and a one-of-a-kind concept. The diversity is also reflected in their names, which refer to the world-renowned literary masters and to the character of their works. The suites treasure such pearls of design as the Portuguese “Azulejos” tiles, handmade and covered with multicolour glazing. 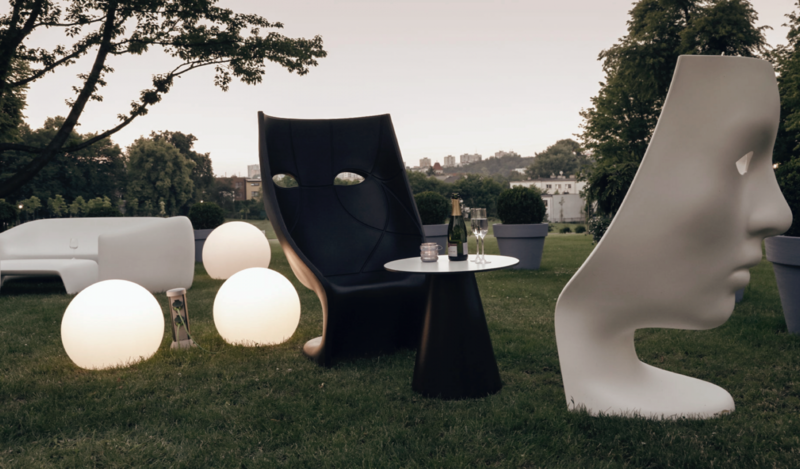 Real enthusiasts of interior design will also notice many design accents and icons. Classical style of the Palace was preserved in many places which made it possible to create an inspiring combination of historic and modern elements. For four centuries, the Palace’s floors were walked by the Brauchitsch family, the Starost of the Gdańsk District, the senator of the Free City of Gdańsk, as well as by cavalry of General Józef Haller. In the 1930s, the Palace became the property of the Society of Secondary and Higher School Teachers in Warsaw. After World War II, for over a half of a century the building served as a high school and later was used as the main seat of the Gdynia Film School. At the beginning of the new millennium, with great respect to its long and eventful history, we restored the Palace and the Park, opening the latter for local residents. Through many years of its existence, the Palace witnessed a few owners, users, however the inscription “Semper Idem” (“Always the same”) placed over the main entrance seems to remain up-to-date. `Then you’ll know why.’ Alice did so.